Looking for fun and creative ways to repurpose an old shutter? 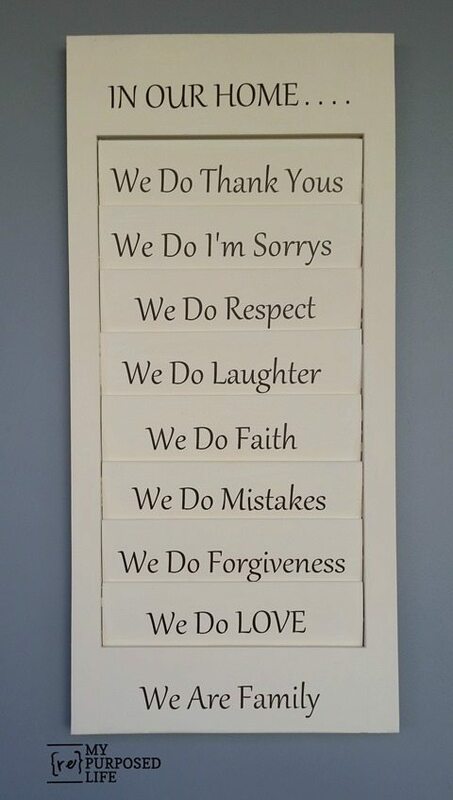 Here’s 10 diy home decor ideas to choose from. Cleaning has often lead to treasures I forgot I had. We’ve recently cleaned up our garage and oh boy, there were a lot of “treasures” as I like to call it. From old cabinets, to wine bottles and even some window shutters. I don’t normally throw things out so I thought, “What can I do with these old shutters?” I had a few DIY ideas I wanted to try and if you have an old window shutter, you can try them too. Take your pick! This image has been brought to you by Purely Shutters. Read more here. Make a beautiful home decor item with a simple coat of paint and stencils. You can even go further with decoupaging on fabric scraps or paper. Too much jewelry laying around? Reuse old ornament hooks, and hang your jewelry in a pretty, easily organizable layout. You can even use this for scarves or similar items. Another useful project is this easy shelf conversion. It’s easy to do, and attractive. Tip: Want to use it in the kitchen? For even better dish organizing, use the shutter slats to keep your plates upright. 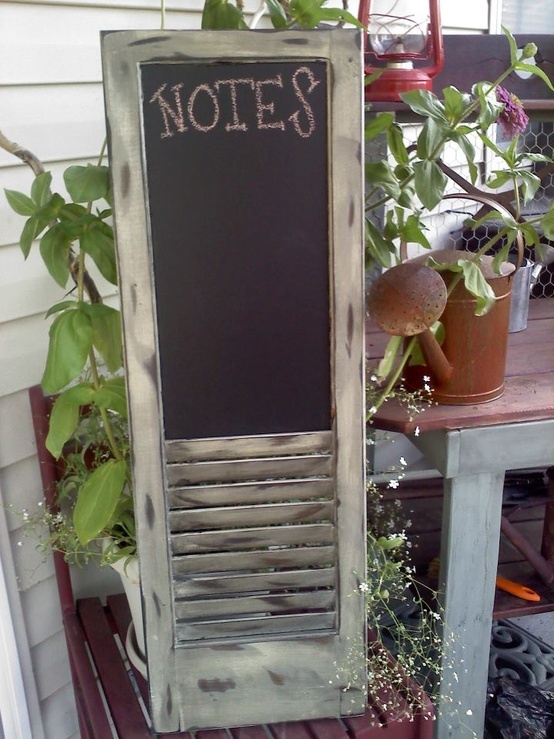 Forget stashing a notebook by the phone or fridge—a bit of scrap wood and a coat of chalkboard paint turns an ordinary shutter into a gorgeous solution for jotting down thoughts. You can also add a bit of corkboard and some pushpins to tack up notes or important appointment cards. Hide that unsightly mess with this quaint tilt-out trash can cabinet that uses a shutter for a door. It hides both the can and contains icky odors. Display your family keepsakes and portraits in a creative manner. Keep the frames color-coordinated to highlight the photographs. TIP: For a personalized centerpiece, stencil on a phrase that means something special to your family, or use your initials. If you like this, you’ll love How To Repurpose Materials Found Around The House!